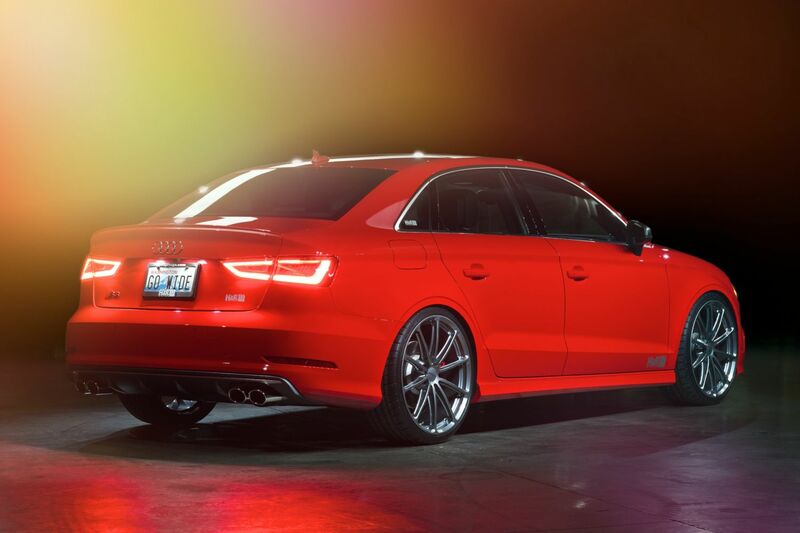 2015 Audi S3 Sedan | H&R Special Springs, LP. Sporty S Sedan! 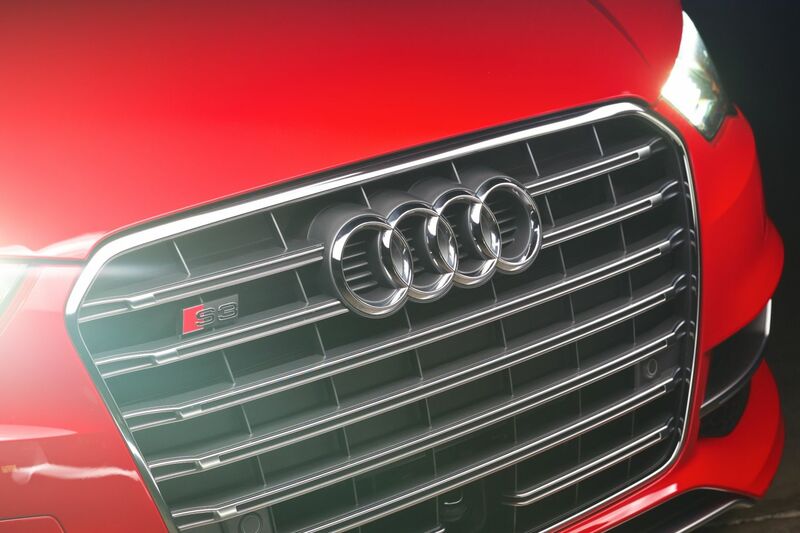 The long awaited S3 from Audi is here and performance car enthusiasts couldn’t be happier! 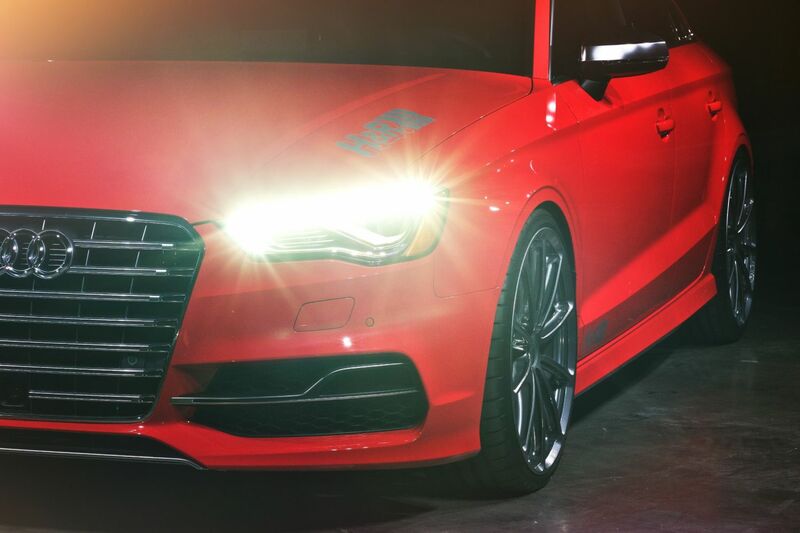 The 2015 Audi S3 quattro sedan is creating smiles with its sporty style. 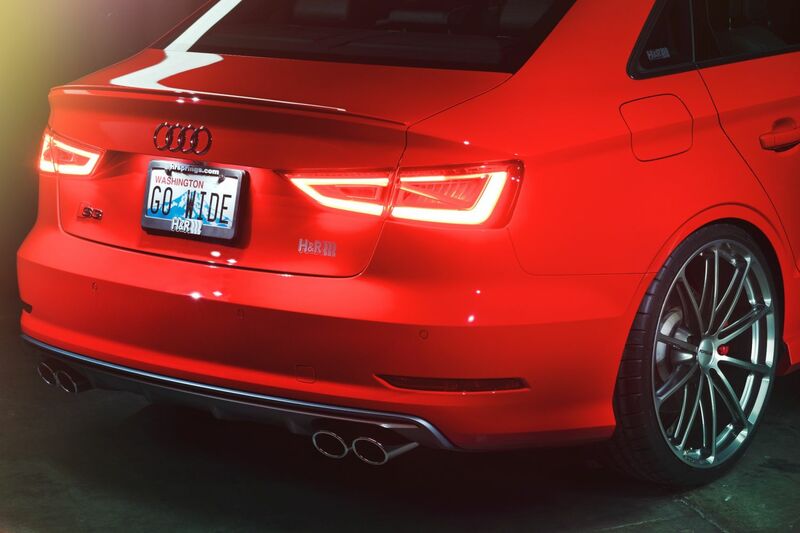 Starting with the new 2015 misano red pearl Audi S3 2.0T quattro, H&R installed their popular H&R Super Sport Springs lowering the chassis 1.2” front and 1.3” rear for a mild aggressive look! H&R Super Sport Springs feature slightly more lowering than the H&R Sport Springs, which are the perfect choice for this sporty sedan! In addition, H&R Sport Sway Bars, front size 27 mm and 25 mm rear, were added for awesome turn-in. 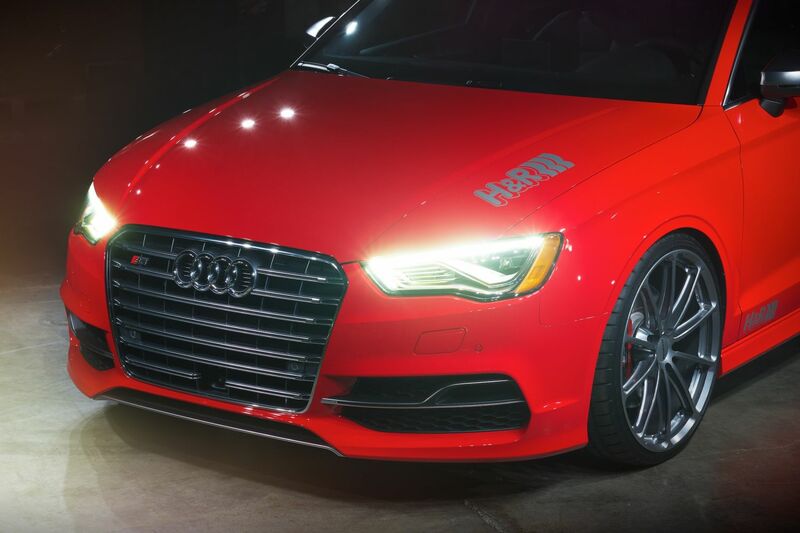 H&R suspension components enhance the look of the Audi S3 and improve performance, equaling more smiles per mile! 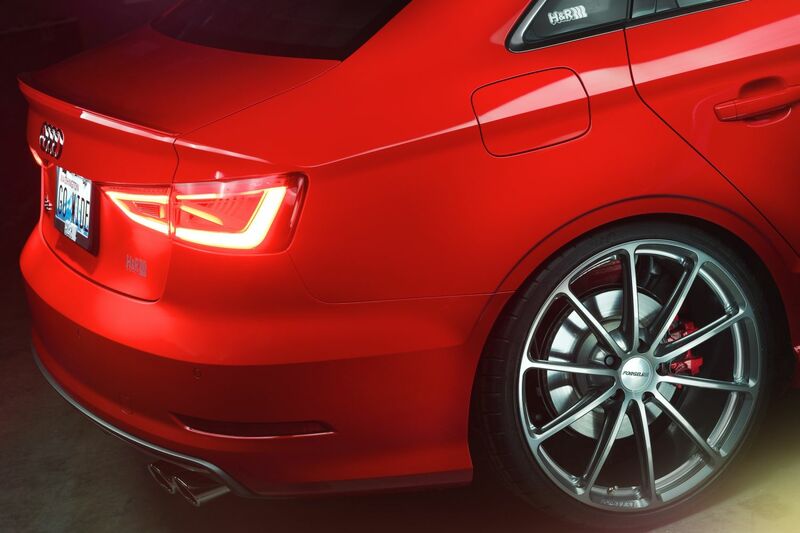 A set of Forgeline GTD1 fully-forged one-piece monoblock wheels size 20x8.5 inch were installed on the Audi. The wheels are finished in Forgeline’s own proprietary midnight silver powder coating. 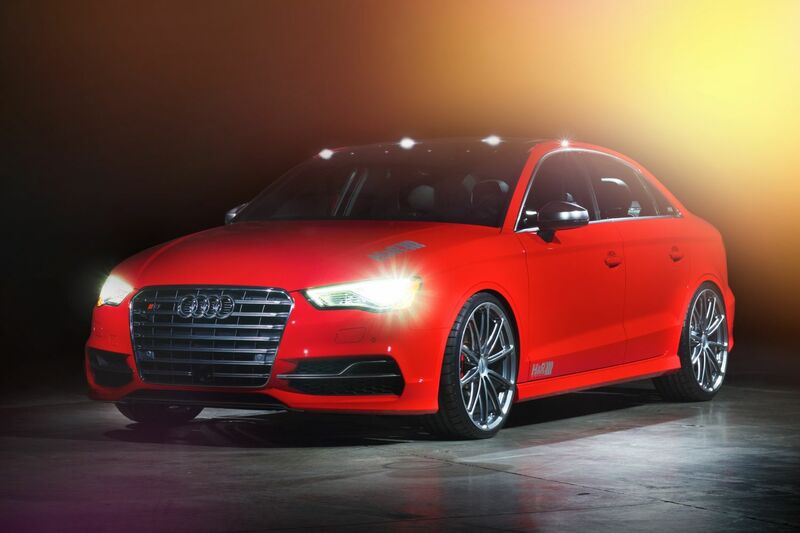 This high-gloss liquid silver has very dark undertones, which compliments the misano red pearl color of the Audi S3. Mounted on the Forgeline wheels are Michelin Pilot Super Sport tires size 235/30x20. 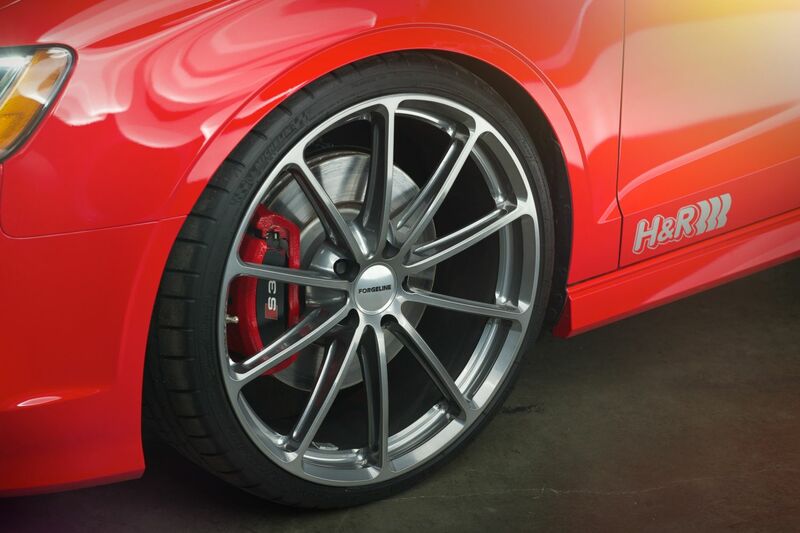 H&R TRAK+® Wheel Spacers in a 10 mm thickness fill the fender gap perfectly for “Go-Wide®” flush profile.